The Checklink® has dual functionality. 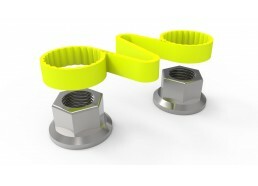 This product from Checkpoint-Safety can be used as a loose wheel nut indicator as well as a wheel nut retainer. The Checklink® attaches to adjacent wheel nuts and should wheel nuts start to loosen, will indicate so through the visual and clear bending and deformation of the link between the nuts. 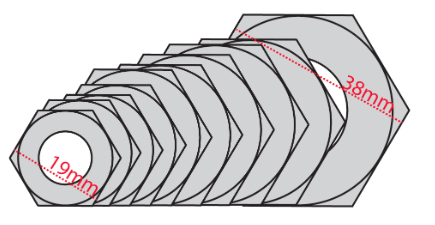 The retaining function of the Checklink® aims to reduce the severity of wheel nut loosening and as a result this will reduce the likelihood of wheel nuts from completely backing away the wheel hub. The Checklink® is available in a range of sizes, aiming to cover a wide scope od applications throughout agricultural, industrial, mining, military and commercial vehicle sectors, amongst many others. · Provide a clear visual commitment to roadworthiness and professionalism to other road users, customers, health and safety, road and transportation associations such as DFT, HMRC Customs and Excise, VOSA, HSE, FTA and RHA. 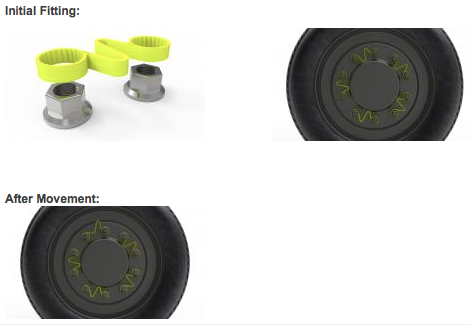 For Checklink® best fitting practice, please see the downloadable fitting instructions PDF below. Designed to be fitted on vehicles without trims/step rings on the wheels. This is due to the design of the Checklink not allowing it to fit through the access hole on the trim/step ring. 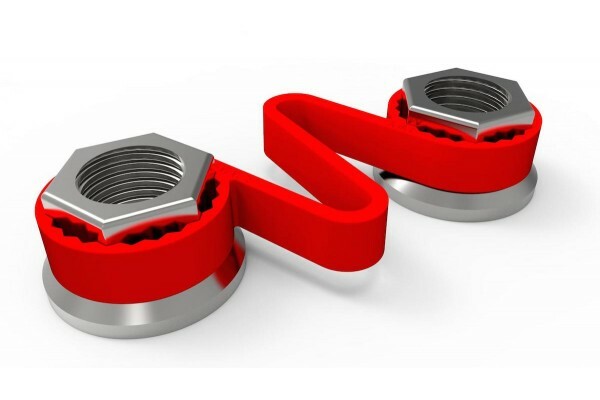 The Checklinks® should be fitted after the nuts on the vehicles’ wheels have been tightened to the manufacturers recommendations. Once they are fitted, they should be monitored closely to check for any deformations. If there are any deformations, appropriate action can be taken. The Checklinks® are available in Standard and High Temperature (HT). Both are manufactured with the highest quality virgin polymers and therefore resistant to water/moisture, oil, road salt, detergents and most other common contaminants/solvents. The standard colours for Checklink® are Fluoro Yellow and Red. Other colours are available subject to minimum order, please enquire by contacting us. Made from the same material as Checkpoint®, the Checklinks® are available in Standard with a melting point of 125˚C. Also available in High Temperature (HT) with a melting point of 165˚C, subject to minimum quantity orders.